"how do i convert a .pptx to a .wmv without loosing quality? I am trying to publish an architecture portfolio onto skydrive: Starts in powerpoint, has animations in it. Looks beautiful until i try and make it into something that can be uploaded onto the web… Would really appreciate help! Surely microsoft have the answer ‘from their own software to their own software’ without being reliant on other companies for conversions….?" – by jimshuttleworth on Microsoft Community. Many PowerPoint users might have the same needs as Jim Shuttleworth did. Uploading PowerPoint files to the web or watching PowerPoint files on Zune would require you to convert PPTX to WMV or MP4 video beforehand. Some people even tried to convert PPTX to WMV video by using PPTX to WMV converter online, but only to find unstable and failed result. 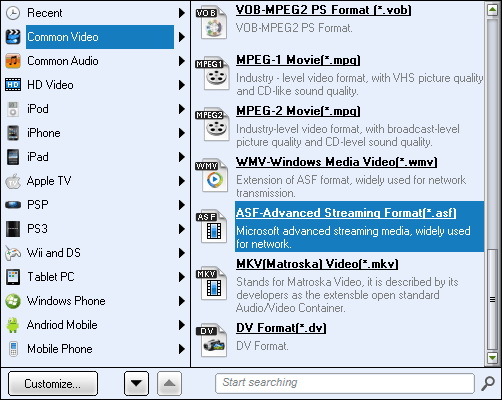 If you want to convert PPTX to WMV video, this guide would be right for you. It shows you 2 ways to convert PPTX to WMV video. Navigate to the "File" menu option and click it. On the drop-down panel, click "Export" tab. Then you could see a "Create a Video" option. 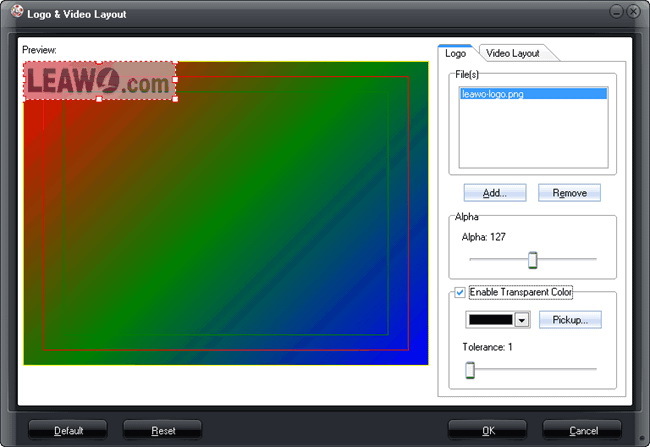 In the far right pane, select the quality of video that you wish to create.. 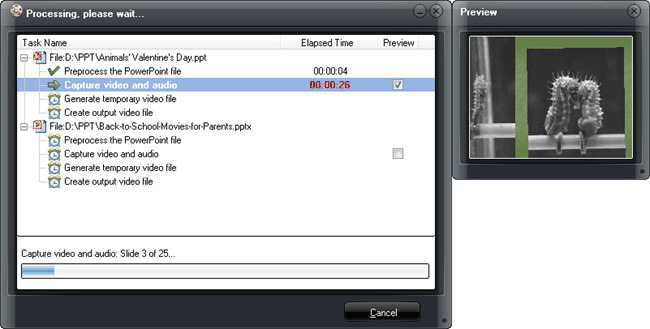 In the far right pane, select whether you want to use Recorded Timings and Narrations. Finally, select the number of seconds to spend on each slide and click the "Create Video" button. The "Save As" window will appear. Browse to the location to save output video, input a name for the file, choose WMV in the "Save as Type", and finally click the "Save" button. In this way, you could export PowerPoint to WMV and MP4 video within Microsoft PowerPoint 2010 or later versions, but you have to do this one by one. 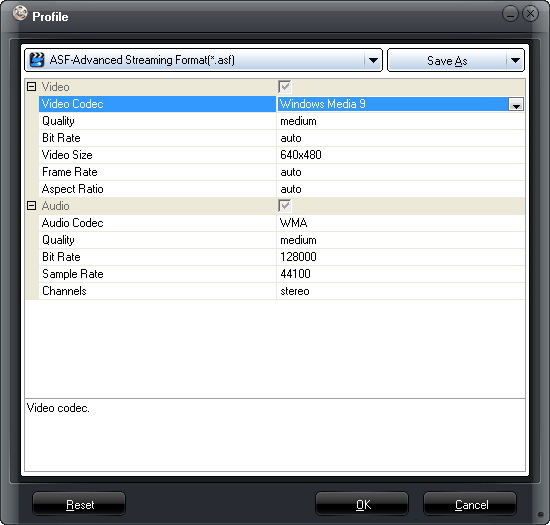 Also, the output video formats are WMV and MP4 only. That’s to say, you can’t export PPTX to AVI, FLV or other formats than MP4 and WMV. 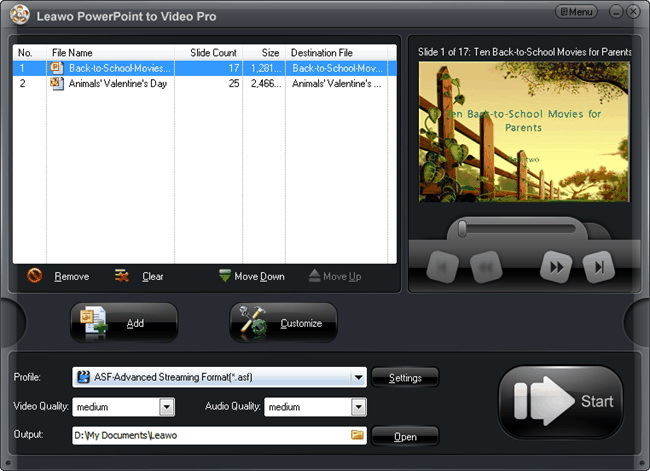 Leawo PowerPoint to Video Pro is the best PowerPoint to video converter software that not only enables you to freely convert PPTX to WMV files in batch, but also helps you convert PPTX to MP4, FLV, and 180+ other videos as you like for different media players and uploading to YouTube or website. Compared to Microsoft PowerPoint, Leawo PowerPoint to Video Pro is better because it’s able to convert PowerPoint to WMV files in batch. You could add and convert multiple PPTX files to WMV videos at a time. Click the "Add" button to browse and add PPTX file(s) into this PPTX to WMV converter. You could add multiple PPTX files into this PPTX to WMV converter. Open the drop-down "Profile" box and then select WMV as output format from "Common Video" group. Also, you could choose output format from the device groups according to your target media player. After that, click the "Output" box for setting output directory. (Optional) Click the "Settings" button next to the drop-down "Profile" box to adjust video codec, bit rate, video size, aspect ratio, frame rate, audio codec, channel, etc. Please do these according to your media players and devices’ specs. (Optional) You can click the "Customize" button to edit PPTX files: set PPTX transition time, add PPTX background music, adjust audio effect, change aspect ratio, apply watermark, etc. You could add your own signature here. Finally, click the "Convert" button at the bottom right corner. 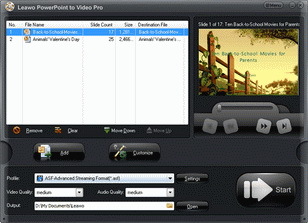 Leawo PowerPoint to Video Pro would start to convert PPTX to WMV video immediately. After conversion, you’re able to freely use the converted PPTX files.